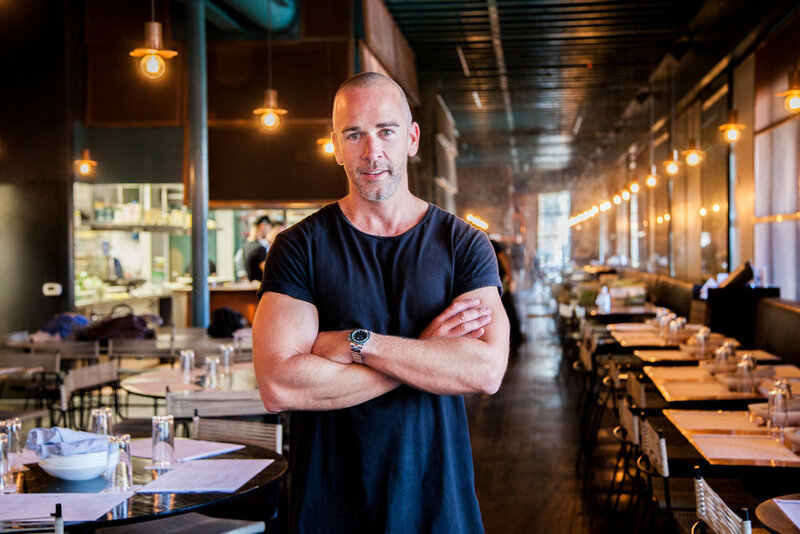 Grant Smillie has been part of many aspects of the entertainment and hospitality industry, from managing venues and touring as a celebrated DJ to operating a record label and ultimately making his mark as a restaurateur. A native of Melbourne, Australia, Smillie brings both a creative and entrepreneurial force to combine his dual passions for music and food. Smillie began working in the entertainment industry at age 17 and went on to manage some of Australia’s most prominent nightlife properties. He went on to pursue double majors in marketing and management at Melbourne’s Monash University, from which he graduated in 1998. Those studies and his experiences enabled him to think like a businessman while building a career as one of Australia’s most sought-after DJs. His success in the music industry led Smillie to international tours, a 10-year radio career on Australia’s Nova FM, hosting for Channel V on Australian television, and winning two ARIA (Australian Recording Industry Association) Awards along the way for his musical compositions. Pursuing a passion for the food and beverage industry, Smillie was a co-founder of Ponyfish Island— One of Melbourne’s most iconic and unique bars, situated in the middle of the Yarra River—and Melbourne Brewing Co. in 2011 and 2013, respectively. Additionally, in 2014, Smillie formed iD Collective, one of the country’s largest independent PR firms representing some of Australia’s biggest brands in the lifestyle, hospitality, sports, fashion, and tourism industries. Never one to miss an opportunity, in 2017 the Botanical Group successfully grew their E.P. & L.P. concept by adding another element with the eagerly anticipated launch of the Melrose Rooftop Theatre on an under-utilized outdoor carpark space adjacent to the L.P. rooftop. An instant success, the cinema experienced a sold out season which Smillie says, ‘Has superseded our wildest expectations’. With an eclectic program of cult and new movies, the cinema will returns for a new season from May 1st 2018. The Botanical group is further expanding in 2018, launching their take on an Australian Style café in S.O.L. (Strings of Life) on Melrose in West Hollywood this Summer. Grant and the team are again partnering with Australian architects Projects of Imagination to deliver ‘what we believe should be the benchmark in the café space in Los Angeles’ says Smillie. A global citizen, Smillie is constantly traveling for both business and pleasure. He insists on immersing himself in the local culture, a constant source of creative inspiration. He derives clarity of mind from early morning visits to the gym and weekend hikes. He is a long-time supporter of The Movember Foundation, which addresses men’s health issues.